Live in Connecticut and need to stay home, at work, in school, in your own bed, around your own family, and with your dog, while learning to change your life? Returning from inpatient treatment and are in need of a home transition? Aware Recovery Care believes that addiction treatment is best treated in the home environment. 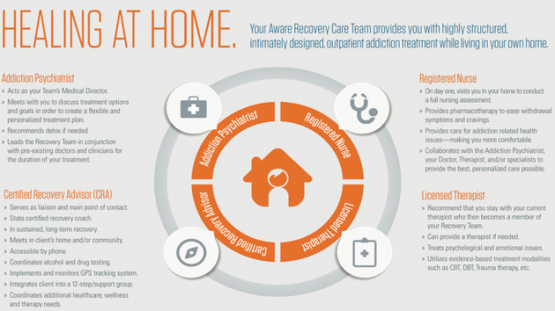 Designed in concert with Yale Addiction Psychiatrists, Aware Recovery Care is one of a kind. Intensive addiction treatment is provided in-home for a full year. 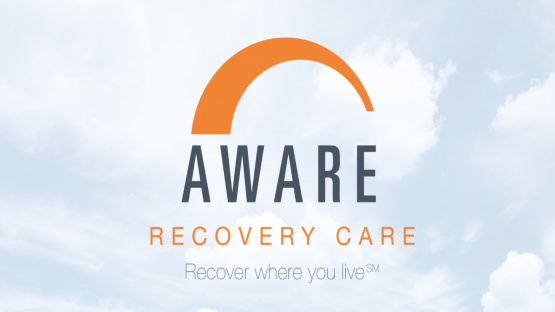 Aware Recovery Care provides a true person centered multi-disciplinary team for each client. 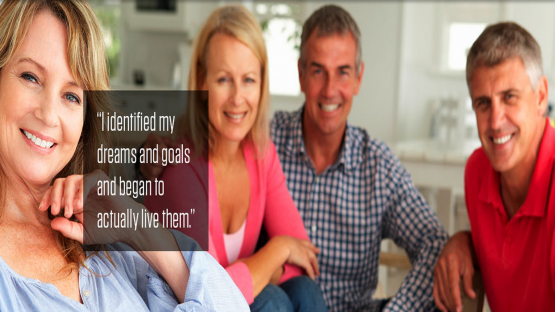 We help our clients learn the new skills and daily habits they must have to lead lives free of alcohol and/or drugs - in the comfort and privacy of the homes and communities where they live in Connecticut. Our unique treatment approach provides comprehensive care from a multi-disciplinary team of clinicians led by an Addiction Psychiatrist. Aware Recovery Care delivers unique and individualized face-to-face care, allowing people to “Recover Where You Live". We help our clients develop and master the skills necessary for lifelong recovery. Aware Recovery Care provides the intensity and structure of an inpatient facility, with the freedom of an outpatient facility. The ARC program can be provided before, after, in addition to, or in lieu of traditional treatments. Give us a year, and get your life back! After seeing the news I told my husband about ARC and we were intrigued. Our daughter was suffering from addiction and needed help. The cost of ARC for a year compared to a month or two of the treatment centers she’d been to before. This was our daughter’s life. She had a 2% chance of success, and is now over 2 years sober and she is finishing school this year. We are grateful to the ARC team for walking with our daughter and us for a year, and as a result have allowed us all to be a family again. I’d been to over a dozen treatment centers in the past decade. Facing over 5 years in prison for yet another drug offense, I was doing 85 bags of heroin a day, and was hopeless. My therapist suggested I try something different - Aware Recovery Care. I sit here, 3.5 years later with 3.5 years of sobriety, and a peace and happiness that I thought was out of reach. The program itself was amazing. It wasn’t in a bubble, it was in real life with structure and support. ARC didn’t just teach me recovery, they helped me live it. I was a chronic pain patient from doing extreme sports, and got addicted to opiates. My mom found ARC and I knew it was different than what’s available. I’d tried numerous times to get clean by myself, and had relapsed within weeks of getting out of treatment. I started the ARC program and it was different. The team was amazing and caring, and treated me like a friend and family member. ARC worked with me for a full year and helped my family recover too. I am 2 years sober and have never been so happy with the person I am. We contacted Aware and were impressed with their experience with addiction philosophy of a one-year period of treatment, in-home. We loved that Aware kept us informed of the issues being worked on and resolved one by one. I’ll admit that we were concerned with the cost of the program, but what price is too much when your son or daughter’s life is at stake? We choose to look at the fee as if it was a 5th year of college. We thank Aware for giving us back our son and helping Jonathan to reclaim his life from drugs & alcohol. The Team at ARC was incredibly competent and cared very much about me reclaiming my life from addiction. With their help I am now more than 12 months clean. They helped me find employment and meaning in my life. The Aware Care program was different from anything else available. Their treatment model was extremely effective and turned my life around. I literally can’t thank them enough. I would say to anyone struggling with addiction and considering this route, that it's definitely worth your time and effort. What do you have to lose, other than the sickness in your soul? Chuck is a veteran of the U.S. Army where he served as a medic. This is where he found his passion for medicine and has worked in many roles of healthcare, and then has since became registered nurse. He comes to us with 13 years of recovery experience and a constant desire to combine this and his skills as a nurse to help others find their personal path to recovery and wellness. In his spare time he is an avid birder, camper, and general nature buff. Chuck also continues to use his spare time to further his nursing skills with a focus on developing tools to guide clients using a holistic nursing approach. As the Vice President of Aware Recovery Care, Matt is 33 and has 16 years of addiction treatment experience. 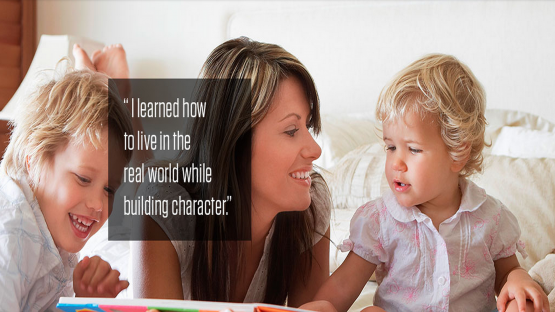 Growing up in a 3rd generation commercial family construction company, Matt learned what it meant to build a successful business by surrounding himself with honest, hard working people with integrity. Active addiction interfered with his initial plans to continue in the family business, but he then found that life had something else in store for him. Matt's passion to do something different and effective in the addiction industry developed over 16 years of exposure to the field. Matt has worked for two treatment centers, Turning Point in New Haven, Connecticut and Spencer Recovery in Laguna Beach, California. He is trained and certified in Sober Living Leadership and in Dr. Paul Ekman's Micro and Subtle Expression recognition technique. He was initially a Certified Recovery Advisor and a Medication Assisted Treatment Counselor and worked with clients from 17 to 40. Matt is currently involved in the strategic implementation of business goals and integration of innovation for Aware Recovery Care, as well as Marketing and Business Development. Matt studied at Clark University, Tufts University, The School of the Museum of Fine Arts, and The University of Hartford. His interests are advertising, communications and marketing, information technology, and in business management and development. He spreads his message of experience, change, and hope, and has been seen on WFSB, Channel 8 News, WTNH CT, NBC, Fox 61 CT, CPTV, and in Connecticut Magazine and The Hartford Courant. Matt was given a 2% chance of recovery and was originally one of the first clients at Aware Recovery Care. He has since developed into a leadership position and is committed providing the highest standard of treatment at ARC. He is happily married and is originally from Avon, CT.
Sarah Allen Benton, MS, LMHC, LPC is the Director of Clinical Services at Aware Recovery Care with over 14 tears if experience in direct care. She is Co-Founder of Benton Behavioral Health Consulting, LLC and the Clinical Consultant for The Strathmore House transitional sober living in Boston, MA. She was formerly a Therapist at Insight Counseling in Ridgefield, CT, a Primary Therapist at Turning Point addiction treatment in New Haven, CT and a Therapist/Case Manager at McLean Hospital in the McLean Brook dual diagnosis treatment program in Waltham, MA. She is author of the book “Understanding the High-Functioning Alcoholic” and has been featured in the NY Times and appeared on The Oprah Winfrey Show, The Today Show, CBS Early Show and NPR. As a private practice psychotherapist, Megan strives to assist her clients in finding meaning behind their challenges and identifying their purposes for the future. She holds a Master's Degree from Fairfield University in Community Counseling. She is a licensed Professional Counselor (2010) and is a Licensed Alcohol and Drug Counselor (since 2014). She is also an auricular acupuncture detoxification specialist which is a holistic intervention used to reduce cravings, urges, withdrawal symptoms, and reduce anxiety amongst others benefits. It is also known as the NADA Protocol. In 2015, she was a National presenter in Cleveland, OH on a clinical study she completed on the use of acupuncture with addiction with her clients. She is also trained in EMDR (eye movement desensitization and reprocessing) which is a therapy approach that can be applied to most mental health issues (heavily targets those with a trauma history) or addiction related goals. She has worked for Cornell-Scott Hill Health Center in New Haven, CT for 6.5 years as an outpatient therapist and the last 3.5 has been a senior therapist at South Central Rehabilitation Center. There, she works on a detox unit and with outpatient clients on a variety of different medication assisted therapies. Currently, she has a private practice with a strong focus in co-occurring disorders treatment. In her spare time, Megan enjoys traveling, snowboarding, swimming, and has a passion for nutrition and fitness. A BBB rated addiction treatment provider in Connecticut, called "the future of addiction treatment".